Arizona Supreme Court Addresses Insurer’s Duty to Defend Under Homeowners Policy | Jones, Skelton & Hochuli, P.L.C. 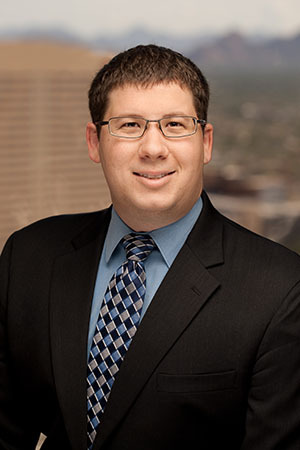 Yesterday, the Arizona Supreme Court held that a policy exclusion for personal liability “under any contract or agreement” did not relieve an insurer from having to defend its insured, an alleged builder-vendor, from a claim for negligent excavation brought by a home buyer. Dennis Teufel purchased a mountainside lot in Paradise Valley and hired a builder to build a home there. Teufel had previously “dabbled in real estate” and was involved in a loose partnership with the builder. When construction started, Teufel obtained a homeowner’s policy from American Family. After construction was completed, Teufel changed his mind about living on the property, and sold it to Cetotor, Inc. The policy coverage ended. Rockslides occurred on the mountainside property, allegedly as a result of improper excavation during construction, which damaged the mountainside home. Cetotor sued Teufel, alleging he was a builder–vendor and asserting breach of contract, negligence, and fraud-based claims. Teufel tendered the defense to American Family under both the mountainside property and Scottsdale property policies. American Family declined the tender, stating there was no coverage. Teufel sued American Family and its agent, seeking damages and declaratory relief. The trial court granted summary judgment to American Family, finding no coverage under either policy due to, among other things, the contract exclusion. The court of appeals affirmed the no coverage ruling with respect to the mountainside home policy but reversed as to the Scottsdale home policy, finding that the contractual liability exclusion did not apply. The Supreme Court granted review to address the contractual liability exclusion. The Supreme Court held that the exclusion did not apply. American Family had a duty to defend Teufel because Plaintiff had alleged an independent negligence tort claim against Teufel. The negligence claim against him arose from the common law duty to construct the home reasonably. A purchaser of a home is not limited to contract remedies for a builder-vendor’s negligence in constructing a home; it may also bring an independent negligence claim, as “both tort and contract claims can exist when a home is negligently constructed.” And because the negligence claim did not seek contract damages for negligent excavation, but rather compensation for property damage caused by the negligent excavation, the Court reasoned that any personal liability imposed on Teufel would not be required by, or originate from, the contract with Cetotor. The court thus concluded that the contractual liability exclusion did not relieve American Family of its duty to defend the negligence claim. Further, because American Family was required to defend the tort claim, it had to defend Teufel against all claims unless another exclusion applied or other facts in the record would take the case outside policy coverage. The court sent the case back to the trial court for further proceedings.